Though the lumber industry in south-central Mississippi recruited Mexican laborers as early as 1908, World War I and the Great Migration of blacks to northern and western cities most acutely forced the Delta’s white planters to confront the dilemma of their dependence on blacks and to think seriously about recruiting Mexican workers as an alternative. By the mid-1920s, Mexicans could earn more picking cotton in Arkansas, Louisiana, Alabama, or Mississippi than anywhere else in the country. Farmers in those states paid Mexicans an average of $4.00 per day to pick cotton, compared to $1.75 in Texas and $3.25 in California. The Mexican migration to Mississippi peaked in 1925. As the cotton picking season arrived that fall, a Catholic priest in Clarksdale claimed that five thousand “Mexicans” (a term he applied to Mexican citizens as well as to Texas-born Mexican Americans, known as Tejanos) were picking cotton on plantations in Clarksdale, Greenwood, Greenville, Cleveland, Tunica, and Hollandale. And “more are coming every day,” he wrote. Indeed, by the end of 1925 the priest had visited every plantation in his Clarksdale parish and found “Mexicans” on all of them. Food historians believe these migrants introduced tamales to the Mississippi Delta. Most of these workers were Mexican immigrants who had left during the Mexican Revolution, spent some time in Texas, and then moved on. Though they had first lived in South Texas, five-sixths of ethnic Mexican household heads, wives, and boarders enumerated by census takers in the Delta’s Bolivar County during the 1930 planting season were Mexican-born, while one-sixth were Tejanos. While most Mexicans and Mexican Americans left the Delta after the last of the cotton crop had been picked in December, some tried to stay in Mississippi, buying a few chickens, hogs, and cows to provide food to get them through the winter. Many Mexican families in the Delta sent their children to school there, but a 1926 ruling of the Bolivar County Schools Board of Trustees prohibited Mexicans and Mexican Americans from attending the Gunnison Consolidated School along with white children. Instead, the county paid a Mexican community leader to offer instruction at a separate school on the plantation of J. G. McGehee. By 1928 the Mexican teacher had left the area, the number of Mexican children had dwindled, and the county was unable to convince a young Tejana woman to assume the role of teacher at the Mexican school. Hortensia Landrove, daughter of local community leader Rafael Landrove, and her young uncle, George Pérez, thus attended the white school for a few weeks during the winter of 1928–29. The following year, another family, the Robledos, enrolled children in the second grade after the cotton was picked. While Telesforo and María Robledo pulled their son, Freddo, out in February to help seed the next crop, their daughter, Jubertina, finished out the school year, struggling with English but otherwise earning As and Bs. She was promoted to the third grade at the end of the year, even as many of her peers were left behind. She became the first Mexican to complete the academic year at Gunnison’s white elementary school. In early 1930, however, school officials decided to enforce the 1926 school board ruling and told the Mexican families that their children could not attend the white school. Landrove appealed to the Mexican consulate in New Orleans for help, and the consulate in turn asked Gov. Theodore Bilbo to intervene. By April the governor’s intervention had resolved the matter in Landrove’s favor, and the following school year Hortensia Landrove, George Pérez, and Telesforo Robledo’s son, Trinidad, again enrolled in the white school after the cotton was picked. All three finished out the academic year and were promoted to the next grade. The victory was crucial for Landrove. His children would be educated at a white school in the Delta, leaving open the possibility of gaining economic stability and becoming culturally middle class. However, Mexicans had entered sharecropping in the Delta at the beginning of its end. 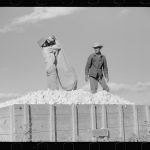 As cotton prices crashed from 16.78 cents per pound in 1929 to 5.66 cents per pound in 1931, white, black, and Mexican sharecroppers alike found themselves unable to pay the debts they had incurred to purchase seed and equipment, let alone turn any profit. For most of the Delta’s Mexicans, the experiment with Mississippi was over. 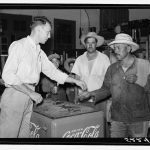 Neither deported by local officials nor able to secure consular help in repatriating, the destitute Mexican sharecroppers of the Mississippi Delta were effectively abandoned, left to finance their own returns to Mexico or Texas. 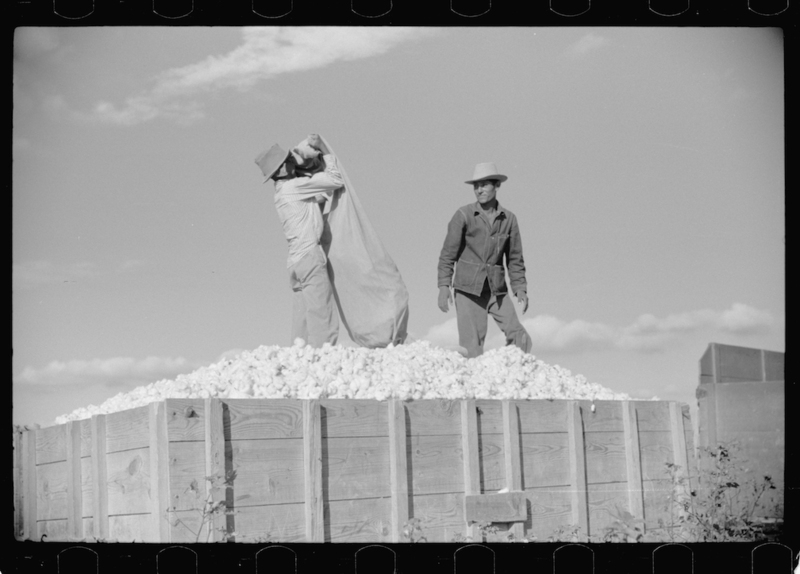 Smaller numbers of Mexican workers continued to come to Mississippi’s cotton fields seasonally throughout the 1930s and early 1940s. As World War II accelerated rural-urban migration and increased wages off the farm, the Delta’s planters once again looked to Texas and Mexico for labor. 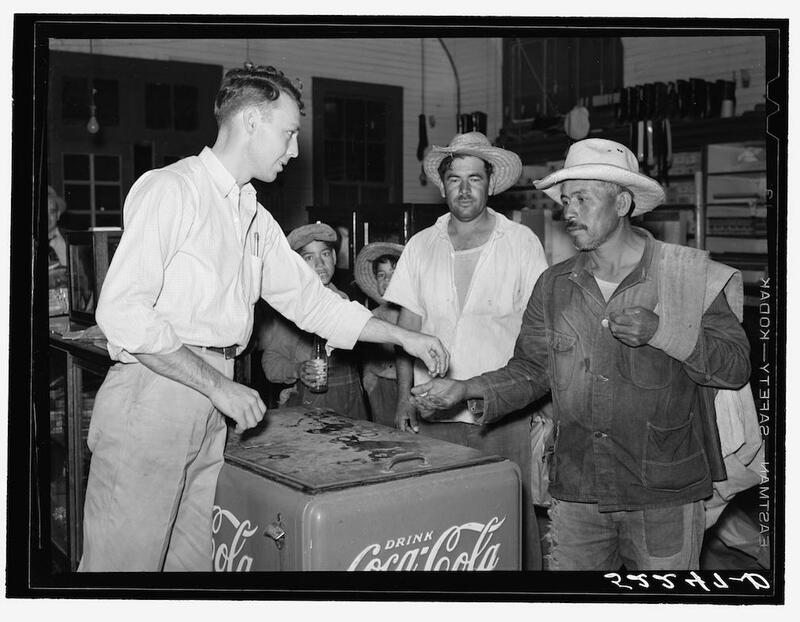 In 1947 Mississippi farmers began to take advantage of the bracero guest worker program. The leadership of Mississippi’s Delta Council lobbied Congress to continue the program and to minimize its financial requirements, and the US House Agriculture Committee held farm labor hearings in Greenville in 1950. Yet bracero contracting required organized farmers’ associations, minimum standards for housing and wages, and the threat of supervision and intervention from the Mexican consulate. Thus, for most of the era, Mississippi’s cotton farmers preferred to bring Tejanos up to the Delta, taking advantage of Texas farmers’ bracero recruitment and of Mississippi’s slightly later picking season to recruit Texas’s surplus labor. Tejanos picked cotton alongside African Americans, German POWs, and braceros during the war years. During the 1950s hundreds of Tejano families settled in the Delta, where they performed agricultural labor. While braceros and Tejanos labored in the same fields, their lives differed markedly. Braceros came as single men; Tejanos were more likely to come as families. Braceros remained only seasonally, while many Tejanos stayed in the area for longer periods or even settled there. Braceros were almost entirely isolated on plantations, while many Tejanos had cars and trucks and could gather with their families on weekends, traveling up to twenty miles each Saturday night to dance to the sounds of visiting Tejano bands. By contrast, bracero Luís Gutiérrez Velásquez, who worked in Mississippi during 1947–48, was so isolated during his sojourn that he saw not a single black person. While other braceros sometimes went to town on Saturdays, Gutiérrez saw only rows of cotton during his weeks of picking. While Tejanos led a largely private cultural and communal life, many—especially those with some education—found a limited acceptance by Delta whites. The Soto family, for example, arrived in Rosedale in 1962 having heard that Mississippi would offer a welcome escape from the abysmally low wages and Anglo-Mexican tensions of Texas. They were not disappointed: father Daniel, a trained electrician, found well-paid work in his profession—something the anti-Mexican racism of Texas had never allowed. In Texas, Soto had “worked out in the field sometimes. He didn’t make any money there,” recalled his wife, Alice, “maybe $5.00 a day. Here [in Mississippi] it was $1.25 an hour. We felt rich!” Their daughter, a high school student, felt shunned by whites in Texas; in Mississippi, she became friends with them. Mexican Americans’ limited possibilities for assimilation were not without condition, and most avoided association with blacks. The feeling may have been mutual: when the Sotos mistakenly went to a black lunch counter, they were told, “This is the black side, you go to the white side.” Intermarriage between Mexican Americans and whites had become acceptable in the Delta by this era, while other Tejanos married each other or the children of Mexican immigrants who had come to the area in the interwar years. As the civil rights movement began to build in the Mississippi Delta during the 1950s, the region’s Mexican Americans remained silent, on the sidelines. By the time the movement reached its zenith in the early 1960s, most Tejanos had been replaced by mechanical cotton pickers and had moved on to pick fruit in Florida’s orchards.